Biography: Monique Polak is the author of over twenty novels for kids and young adults. She has also written two nonfiction books for kids as well as a board book for toddlers. Monique teaches English literature, creative writing and humanities at Marianopolis College in Montreal, Quebec. For more information, visit moniquepolak.com. It's survival of the fittest on this bus ride. 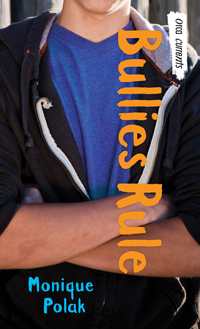 What do you do when you realize that YOU are the bully?